If you’re a new student, please fill out the form on this page before or after submitting payment. Thank you! Teen’s are young adults and should be treated that way – with respect, intelligence, creativity, structure and kindness. Like the adult classes teens will do similar work but with age appropriate material from film and television. They will learn to relax, access who they are so that they can interpret scripts, emotions intention and most importantly listen and be presently in the moment. It’s not about looks, or being popular – it’s about being comfortable in who you are, empathy, and finding strength in giving of yourself, vulnerability and confidence, all in a fun, safe supportive environment. After three months (twelve weeks) classes will perform in a live scene day and premiere their original short films for family and friends. TO REGISTER, PLEASE SCROLL DOWN TO “CLASS FEES” SECTION. 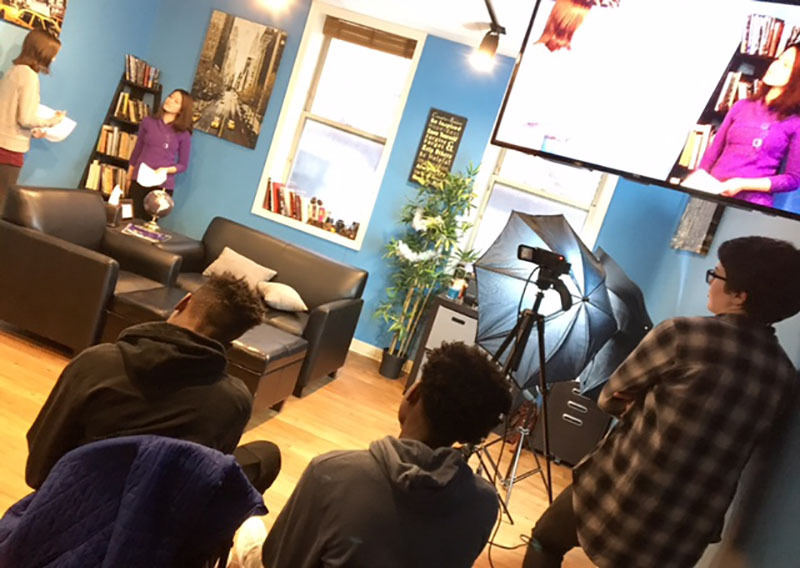 NEW youth on camera class!